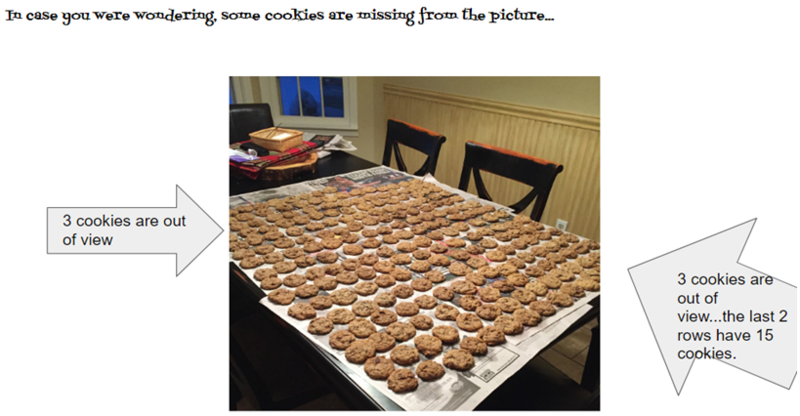 Last month I provided information about Three-Act Tasks and challenged Tashua to a problem similar to those presented by Graham Fletcher (https://gfletchy.com). As a reminder the three parts or acts are explained below along with the process of Kindergarten and First grade solutions. If you see a three-act task problem, snap a picture and send it to Ms. Marini (mmarini@trumbullps.org), and we may feature it on the bulletin board across from the main office! The teacher shares a compelling multimedia depiction of a situation through a video or photographs. See below…Mrs. 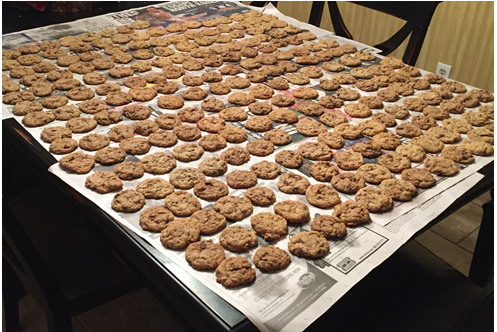 Neumeyer was very busy baking cookies for the holidays. Look at the picture below. What do you notice? What do you wonder? What is your mathematical question? Can you solve it? Can you explain and show how? 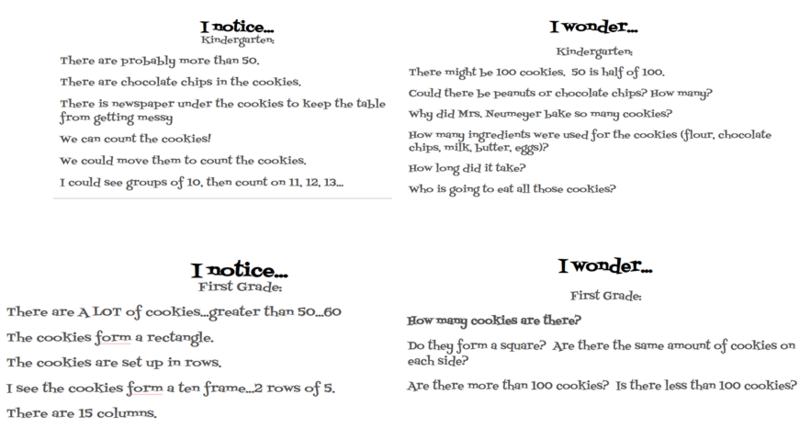 Students discuss what they notice and wonder. Then decide on a mathematical question to answer about the situation. Students gather information using reasoning skills/resources to answer the big conflict from Act 1. Students decide what information is needed to answer the main question. The big reveal is when students are making connections from their mathematical understanding to their peers. Students also are justifying their strategy and learning from others, which continues to build a mathematical community. 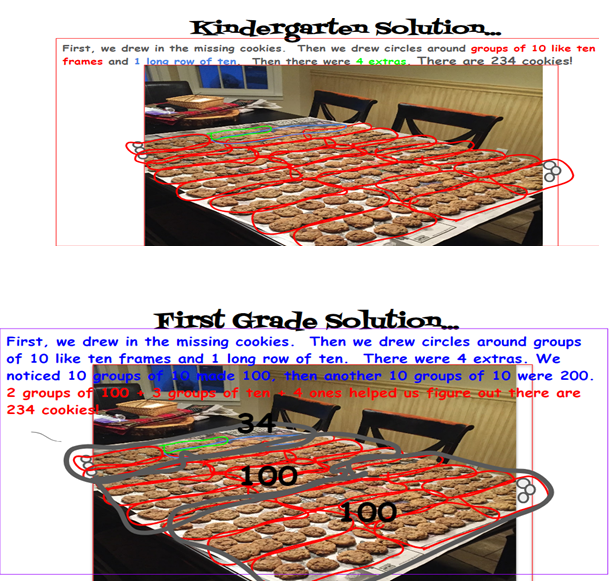 The answer is revealed and validates students’ solutions/answer. Students are able to compare techniques, figuring out which is most efficient.